ROCKETS. ROBOTS. DEATH RAYS. MAD SCIENCE. THE FUTURE THAT NEVER WAS IS BACK. 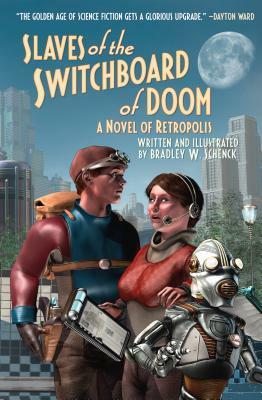 BRADLEY W. SCHENCK is the owner and operator of the web site RETROPOLIS, which showcases his unique retro-futurist artwork. He has been a digital artist, art director, and video game developer.